If you wish to get a security camera connection, you might come across the need for a coax transceiver. You can also get a replacement for your previous coax transceiver. We have different products to match your requirements. 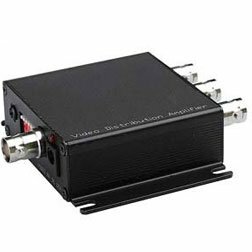 We have different products like 1 input 3 output BNC Video Amplifier Okina VA123BNC and DC36V 1A power supply for 501579. SF Cable provides you quality products at most competitive prices by sourcing the products directly from 9001-2000 registered manufacturers. Satisfied customers is the ultimate goal of our store. We also provide lifetime technical support on all our products.